Welcome! 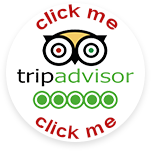 Hot Air Balloon Ride Gift Vouchers available instantly by email! Just £35 deposit! We’ve provided an unrivalled service across the Midlands, North West and East Anglia for over 25 years! Our hot air balloon rides in Cheshire & Shropshire allow us fantastic views across to the Welsh Mountains, up to Liverpool and the Wirral, and down into the Shropshire Hills. The balloon flights start from one of three locations – Chester, Nantwich or Whitchurch, where we have beautiful private venues. Whether your balloon flight takes you all the way to Wales or just drifts across the Cheshire plain is simply down to the breeze on the day! Come and enjoy a hot air balloon ride over Cheshire & Shropshire! Hot air balloon flights in Derbyshire and The Peak District are often carried out by our company director, Jon Rudoni, no doubt reflecting the stunning scenery and popularity of the area! Jon says “One of the perks of being the boss is having some influence over the pilot schedules! Ballooning in Derbyshire is a unique experience thanks to its rolling landscape, and I am lucky enough to look down on this amazing countryside all through the seasons.” A full time commercial pilot, Jon flies twice each day, all year round, subject to the weather – an unrivalled service in the county! 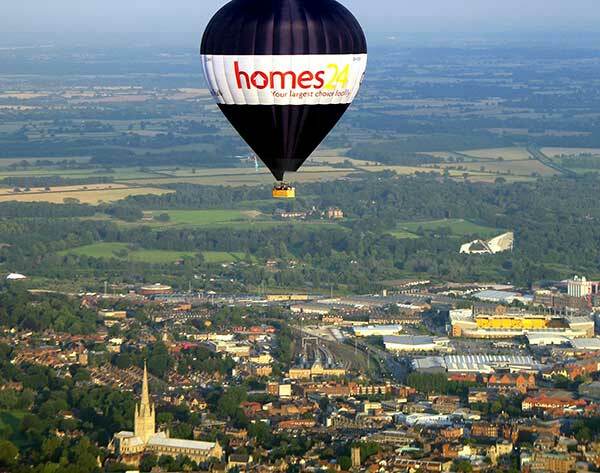 In Norfolk we make hot air balloon flights from Norwich itself, allowing passengers magnificent views of the city before drifting off over open countryside. In Suffolk the balloon rides start at the wonderful Oaksmere Hotel, close to Brome and Diss. 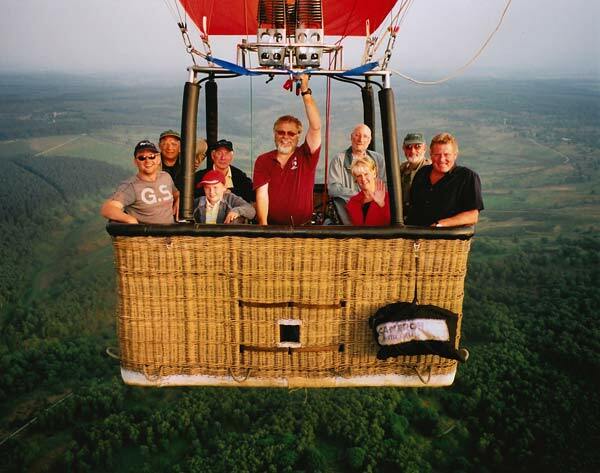 This private location makes a superb venue for our balloon flights! See East Anglia as never before! 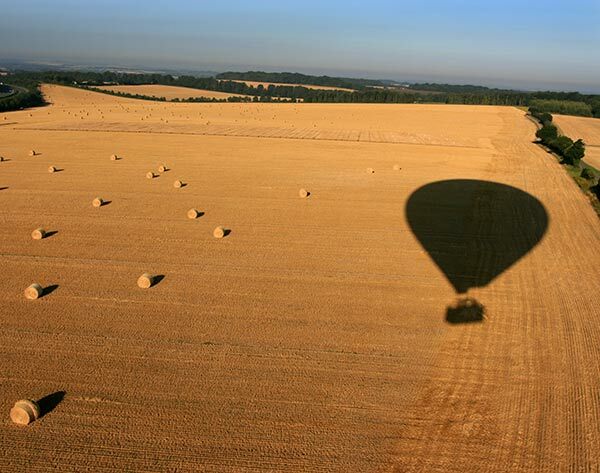 Whether it’s Norwich Cathedral, the Norfolk Broads or just our beautiful rural landscape, you will enjoy fantastic views to remember from our hot air balloons! 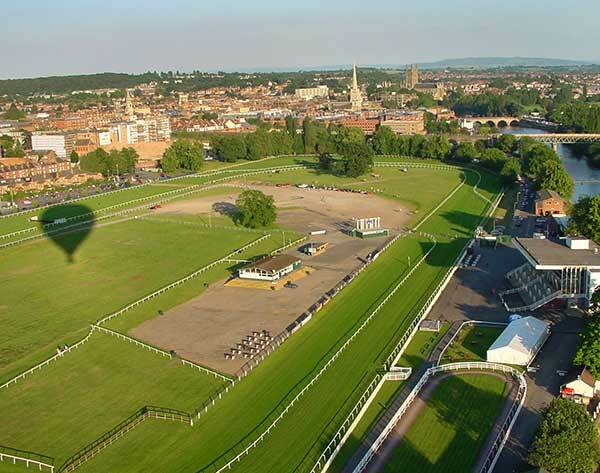 In Worcester we launch the hot air balloons from the racecourse, right in the heart of the city (see left) alongside the River Severn, whilst in Herefordshire we launch from Eastnor Castle, on the Malvern Hills. Whether we float over the Malverns, or drift across to Pershore, Bromyard or Upton upon Severn, the scenery in this area is simply stunning! 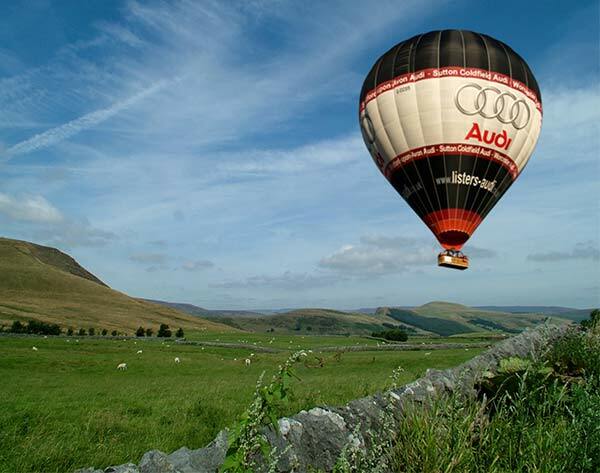 A real taste of English countryside at its best, take your hot air balloon ride over some spectacular scenery. Close to the Cotswolds, and yet within convenient driving distance of the major towns and cities of the Midlands, our hot air balloon flights launch from sites in the ‘Heart of England’ including Stratford-upon-Avon, Warwick, Evesham and Moreton-in-Marsh. The surrounding countryside is some of the most beautiful in England, made all the more distinctive by its Cotswold stone villages for which the region is so well known and loved. Come hot air ballooning with us over Shakespeare Country! 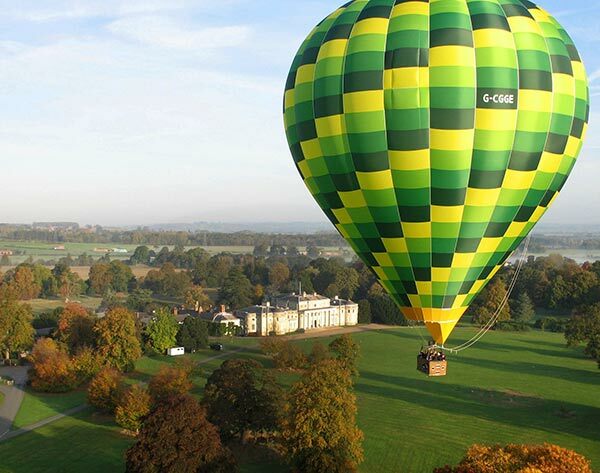 Take your hot air balloon ride in Staffordshire from two of the most prestigious and well known venues in the county. Shugborough Hall, The National Trust property and ancestral home of Lord Lichfield, located close to Stafford. Trentham Gardens, part of The Trentham Estate, situated just south of Stoke on Trent, and with easy access to the M6. Our relationship with Shugborough Hall goes back more than 25 years, and in that time more than 50,000 passengers have flown with us!